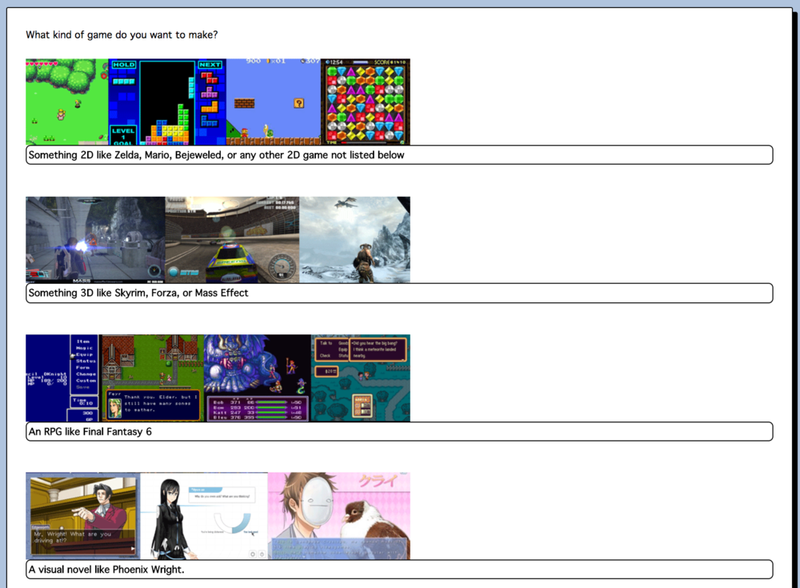 Wish you could make games but have no idea how you'd get started? Have you never coded a day in your life and feel overwhelmed trying to teach yourself? Can't draw anything beyond stick figures? Overwhelmed and don't know what questions to even ask? You're in luck! Sortingh.at is a tool that will give you personalized resources to help you get started making your first game, custom tailored to what you're actually making.